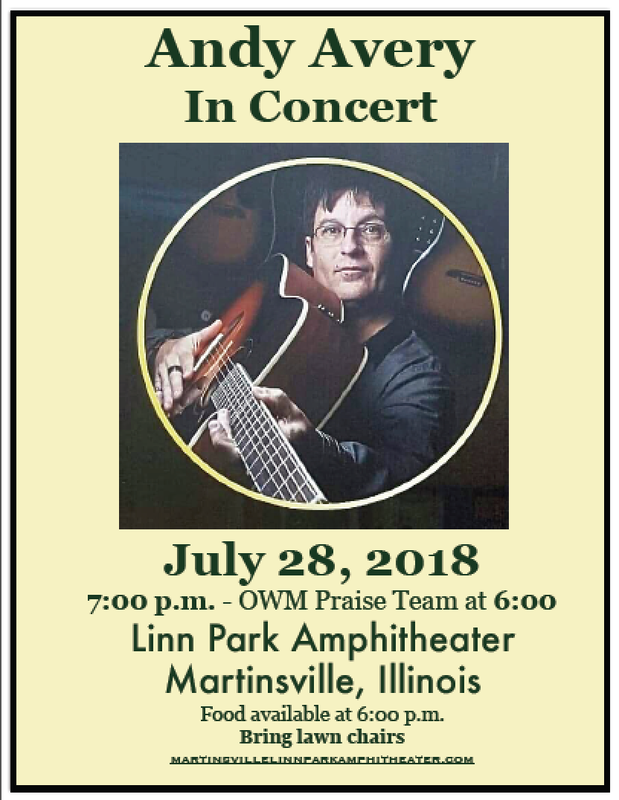 You won't want to miss Andy Avery's concert and testimony next Saturday night. at 7:00. 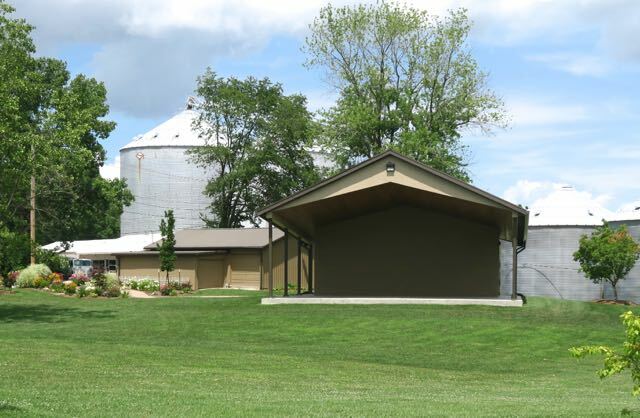 The OWM Praise Tema will play at 6:00 with food from local restaurants for sale beginning at 6:00 Brend your lawn chairs and enjoy a great evening at the beautiful Linn Park Amphitheater.